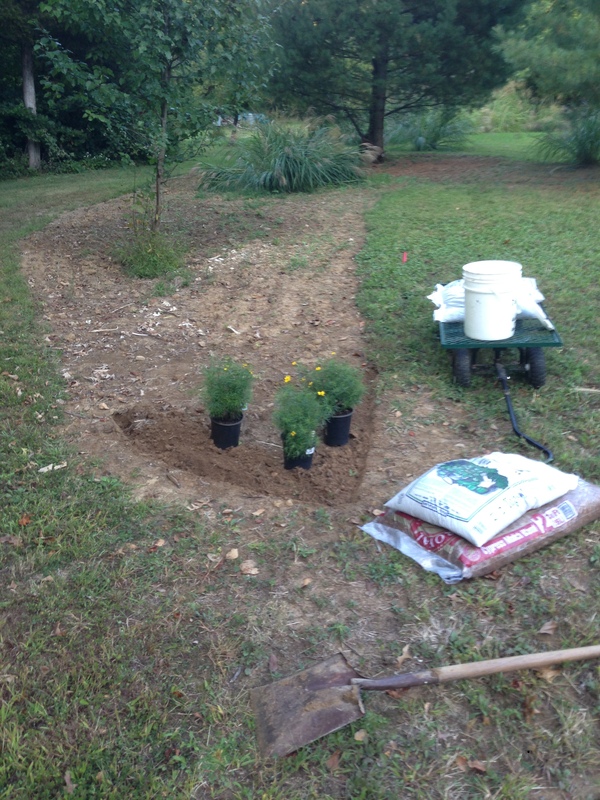 This evening I got the first plants into the to-be butterfly garden. After finding out how much it will cost to have bulk top soil added to the space, I realized that I may have to really go piece by piece. 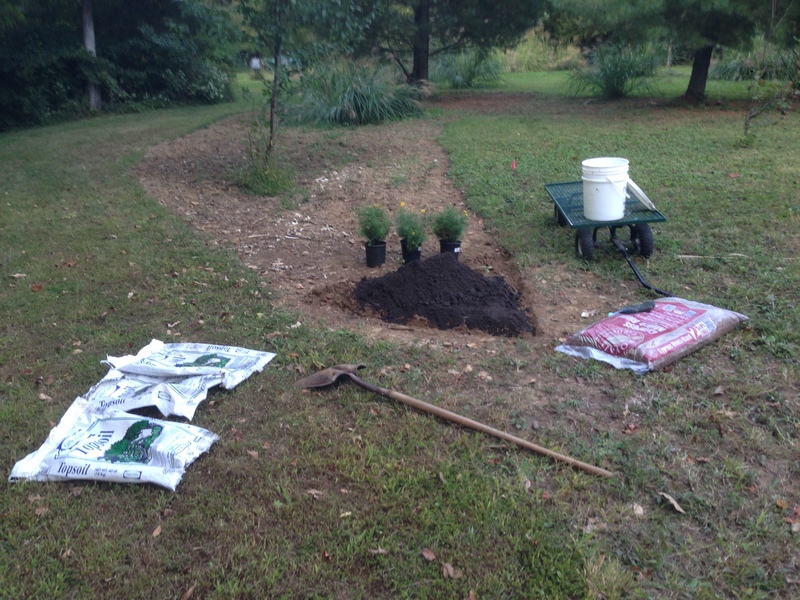 So, I planted 3 coreopsis and raised the bed with 3 bags of topsoil. 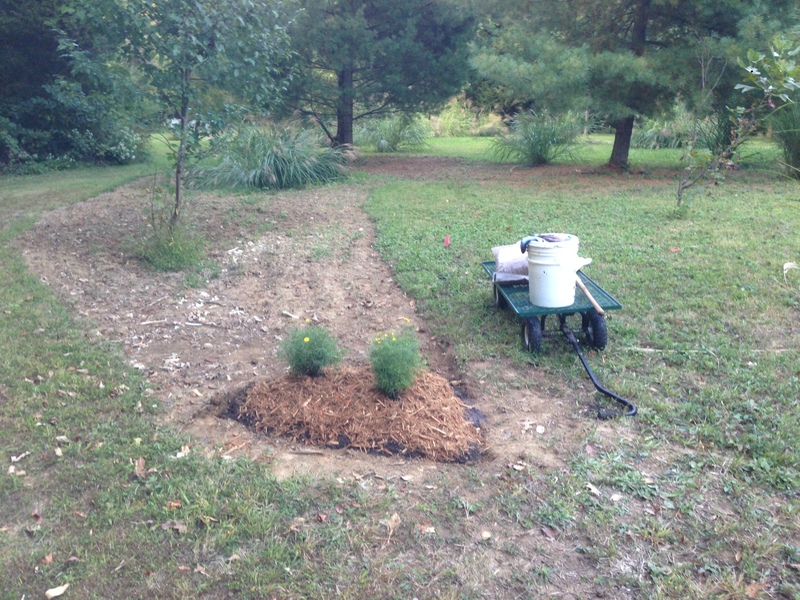 Add mulch, and voila! ok, looks pretty puny when I see the overview. This entry was posted in Blog Update and tagged butterflies, gardening, gardens. Bookmark the permalink.